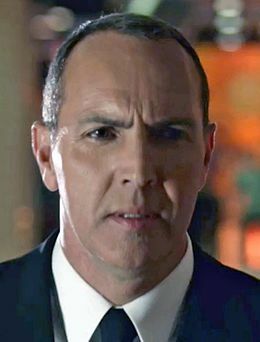 Arnold Vosloo - Wikipedia, entziklopedia askea. Arnold Vosloo (Pretoria, Hegoafrika, 1962ko ekainaren 16a) hegoafrikar aktore bat da, estatubatuar nazionalitatea ere badu. Antzeztutako film ezagunen artean honakoak daude: The Mummy eta The Mummy Returns, Blood Diamond, Hard Target, Darkman II eta Darkman III, G.I. Joe: The Rise of Cobra eta G.I. Joe: Retaliation. 2005 24 Habib Marwan Television series, recurring character, main antagonist of season 4. He also has the distinction of being the most recurring actor in the "Big Bad" role, with 17/24 episodes including one voice-over in episode 4x20. Shark Andre Zitofsky Television series, Guest star in "Gangster Movies"
2009 Chuck Vincent Television series, Guest star in "Chuck Versus the Predator," "Chuck Versus the Dream Job" and "Chuck Versus the Colonel"
NCIS Mossad Officer Amit Hadar Television series, Guest star in "Aliyah" and "Enemies Foreign"
2010 Psych (telesaila) J.T. Waring Television series, guest star,season 4 episode 12 "A very Juliet episode"
Orriaren azken aldaketa: 30 urtarrila 2019, 20:48.